‘Have you got Maths Eyes?’. What can you and your child do? Encourage your child to view the website www.haveyougotmathseyes.com where there are examples of how to create a poster using Powerpoint or Word document. Children should be creative in their efforts. 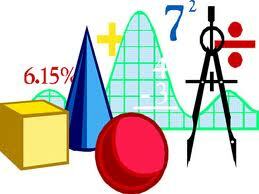 We regularly conduct maths trails around our school and local environment. Every November we run an Inter-Schools Maths Quiz for 6th class pupils. Pupils from up to 15 schools in the local area attend the Quiz held in St. Attracta's Senior School hall.